Engineered laundry material handling solutions to fit specific laundry needs. Belts, sorting, and rail systems which ensure a constant supply of work for the entire laundry: washers, dryers and finishing equipment. Maintenance and servicing included in the design process to improve system reliability and increase laundry through-put. Increase laundry capacity and open floor space. Become efficient from the beginning by unloading faster from delivery trucks, allowing for your facility to process more laundry. 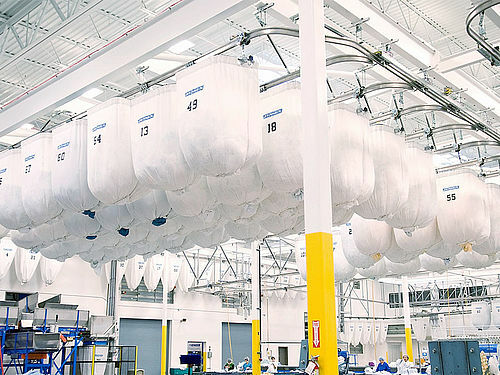 Put sorted soiled and clean laundry from carts in the air to free up valuable floor space for more production machinery. 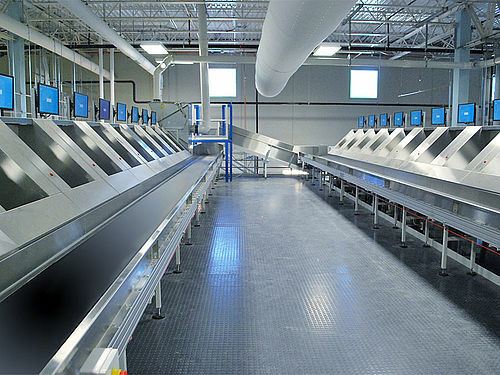 Eliminate double handling and increase laundry capacity by increasing workable floor area. Futurail directly caters to customer's needs by offering the largest number of sorting bins. Material Handling Consultancy is offered to optimize your laundry layout for maximum sorting capacity and laundry efficiency. Customized material handling designed to improve sorting, soiled/clean storage, and laundry processes for increased efficiencies and profits. With Futurail's proprietary software, Rail Explorer, material handling has never been easier. 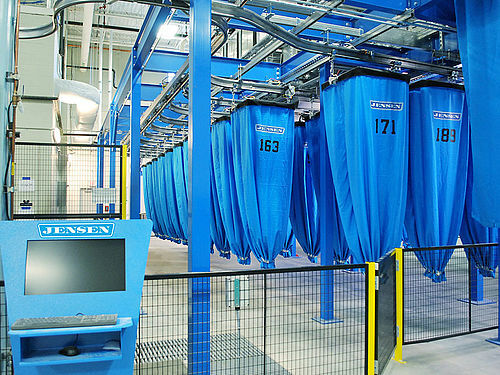 Futurail laundry systems can be preprogrammed to eliminate errors and allow for continuous operation. 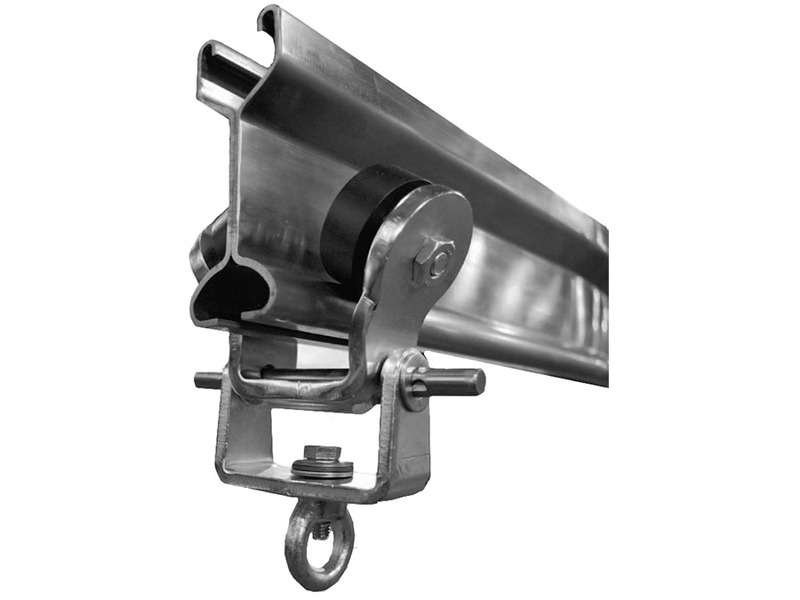 Track and trace within the Futurail systems allows for you to stay up to date with exact material location and machine processes.